T'Lana's career as a counselor began in the 2350s, specializing in negotiations with parties engaged in hostile relations. She found herself transferred often, as her diplomatic counseling skills were often needed in various locations across the Federation. 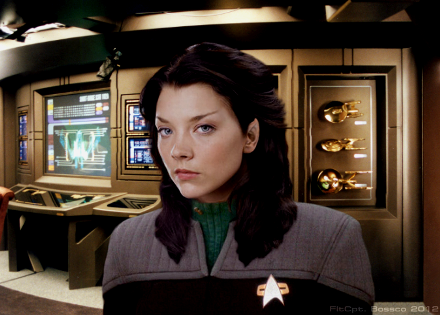 During the Dominion War, she served on the USS Indefatigable under Captain Karina Wozniak. Following the destruction of the Indefatigable by the Jem'Hadar, T'Lana worked as a diplomatic liaison to the Romulan Star Empire for Starfleet Intelligence. During this time, she learned of a classified Starfleet mission to the planet Soukara abandoned by Lieutenant Commander Worf in order to save the life of his wife, Lieutenant Commander Jadzia Dax. T'Lana determined that Worf's decision may have indirectly led to the loss of the Indefatigable. In 2379 T'Lana requested to be transferred to the Enterprise-E which was approved due to her expertise since the Enterprise-E was part of Project Full Circle going into the Delta Quadrant.